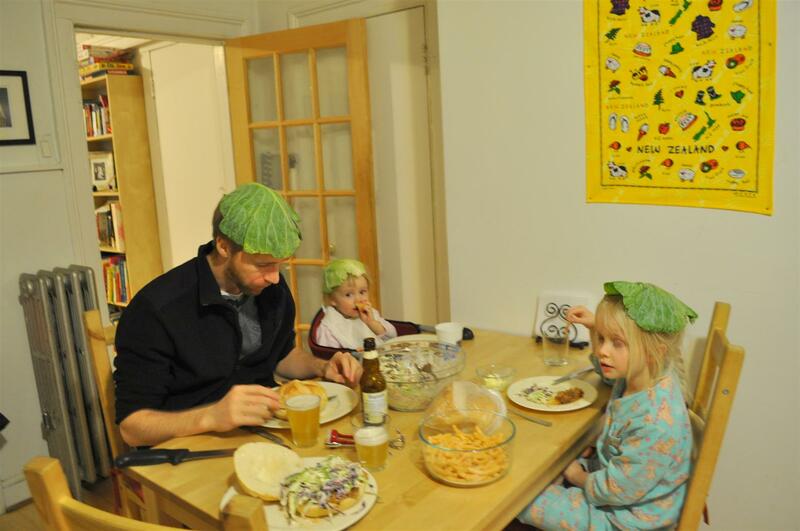 We sometimes have dinner wearing cabbage leaf hats. 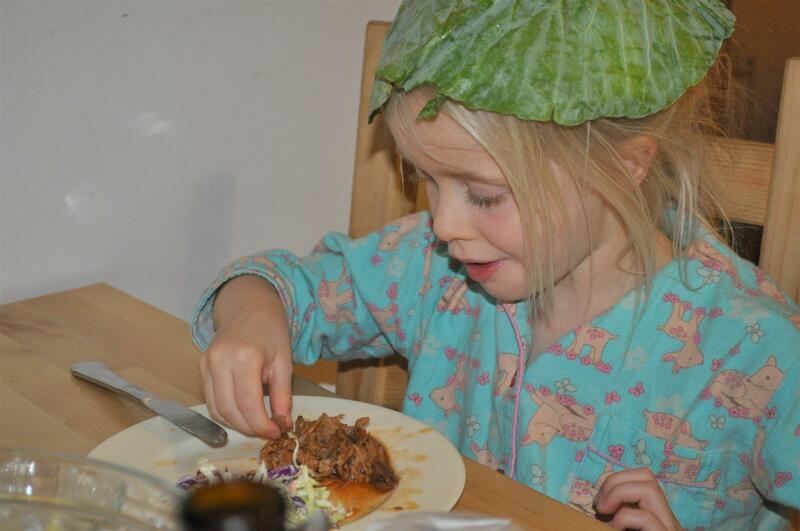 Elijah says, “I want to have dinner with them.” In other words he likes the hats and the food looks good. Ben, you should start a new trend; it looks great on you. And after a day of 80 degrees in March (which would have been even nicer if I hadn’t been inside for most of it), it also looks nice and cool. 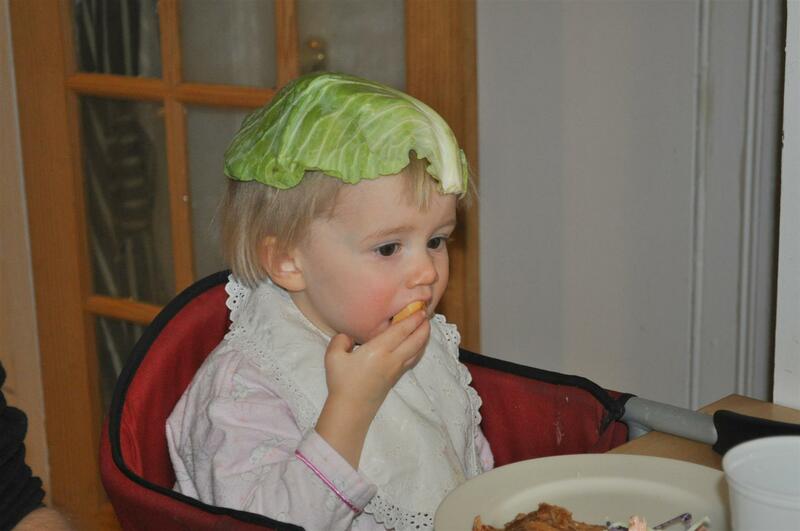 Too bad I didn’t think to do that with my lettuce leaves this evening.